yooper: hmm tourism is a main branch you say? How are the real estate and/or renting prices over there? As far as body fitness goes well.... I'm a bit lazy 'bout sport. And I really have to quit smoking huh, in your healthy neighbourhood I'd get crucified I think! 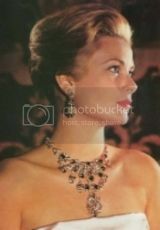 contessa: I've been doing that for the last two day's I love the fact that I don't have to work for four day's straight! look who's back! hay honey! All my comments/posts are only assumptions, thoughts and belifs. I don't make affirmations about facts i don't know about. I never go far from here really. Always in a corner somewhere. But been busy at the other sight of late. New year, new attitude. L'Shana tova. I am addicted to soda. I have more than one middle name. My mother was a nun. ^me too re: cattle. I dye my hair black but the colour never seems to last! I am dark black hair now at least until the dye fades again and then back to brown/copper for me. My overriding passion is contract bridge. I love dressing in 1920s, 1930s, and 1940s style clothes esp ankle and mid calve length dresses. I design my own capes, dresses, clothes. ... I also wear modern fare. But my all time favourite is thevelvet cape with matching gloves! 1930s style hats are the best!